I’m writing this post today for those of you who are buried in wedding magazines, up to your eyeballs in fabric swatches, and so sick of wedding jargon that you swear if you hear one more person say the words “wow factor,” you’re going to glue your own ears shut. For you, I offer this simple, straight forward piece of advice. Wedding planning is just project management. But this is a message worth repeating. 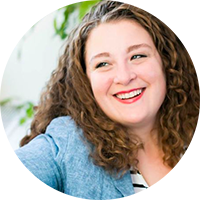 It’s just a big project, and project management has some very useful tenets that – when applied to weddings – can help make all of your decisions so much easier! Picture a triangle. On each of the three sides, you see one of the three words. Cost, Quality, and Time. The basic principle is that your project can only be constrained by two. You need a new gown in 2 days because yours came back from alterations and they accidentally dyed it green. (Good and Fast). You forgot to hire someone to play music for your wedding ceremony, the wedding is tomorrow, and you are out of cash. (Fast and Cheap). In Example A, you have high expectations and low budget. As I tell people all the time, this is not impossible! It just requires some creativity and a long time frame. For instance, you can fill a ballroom with centerpieces made from intricately folded, origami flowers (made from free, recycled paper). It will be breathtaking! But think about how long it takes to fold a paper flower. (If you’ve never done it, I’ll tell you. It can take several minutes). Now multiply “several minutes” by a thousand. Or you can line your tables with clear white wine bottles stuffed with taper candles (another favorite of mine). I did that recently for a dinner party and we needed about 2 dozen wine bottles for one table. So if you have 150 guests, that’s 15 tables (times 24 wine bottles) = 360 wine bottles. Now, wine is delicious, but how long will it take you to come up with – not just 360 wine bottles – but 360 CLEAR WHITE WINE bottles. The answer – a long time. So you can have beautiful, impressive-looking decor for relatively little money. But it won’t come quickly. In Example B, you are in a pinch and don’t want to sacrifice the quality of your wedding gown. Well, I am here to tell you that there are wedding gowns RIGHT NOW, hanging in a closet or on a rack somewhere, that you could buy and have altered and be ready to walk down the aisle tomorrow. But you’re going to have to pay a premium for the gown, and pay a substantial rush charge to whatever seamstress is available THIS INSTANT. You will look lovely, and you will be done in less time than it takes to say “I do,” but you will pay the price. Whatever it is. In Example C, you’ve waited until the last minute and now you’ve got to have SOMETHING playing when you walk down the aisle. So you do some quick research and you can’t find a guitarist, pianist, DJ, or violinist who is A) available or B) willing to do it for less than a couple hundred dollars. So what do you do? Grab the best set of speakers you can find at home, plug in your iPod, and ask your Uncle Bob to press “Play” when the chapel doors open. Hopefully Uncle Bob doesn’t push the wrong button and end up accidentally playing “Baby Got Back” instead of “Canon in D,” hopefully the volume on the speakers is set at a reasonable level, hopefully Uncle Bob doesn’t accidentally stop the song when you’re halfway down the aisle. But hey – you needed something fast and for free, so you get what you didn’t pay for. (For the record, there is nothing wrong with DIY-ing your music this way. I just caution against doing ANYTHING at the last minute). 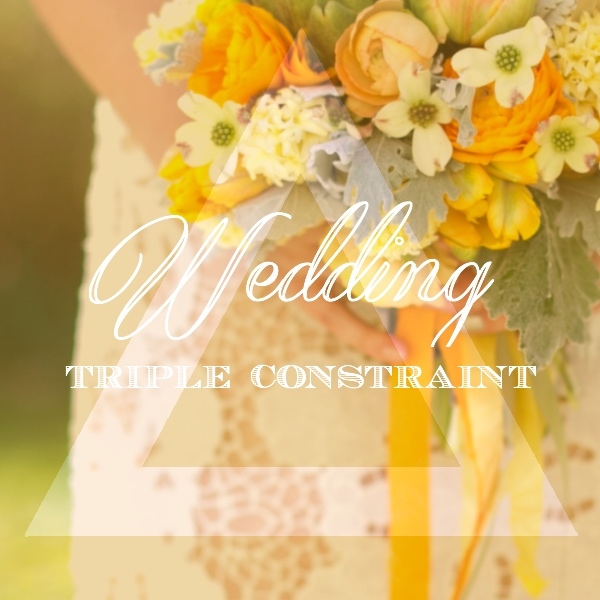 This “triple constraint” (as it’s called in non-wedding related worlds) is just as true for weddings as it is for software development, strategic plans, or whatever else people use it for. The punchline is that YOU CAN HAVE THE WEDDING YOU WANT, but learn how to control your cost, quality, and time or they WILL control you.